Good news. He’s starting to walk! Little J. has walked for a while now if you held his hands but he would crawl the instant you let him go. Earlier today I was at the sink doing dishes and Josh (hubby) was on the computer behind me, L.J was holding my leg and I said to Josh “I bet Little J will be walking by the end of the month.” L.J. let go of my me and I turned just in time to see him take three steps. He’s been taking steps all day since. He loves the Night Light app on my iPad and has set it to play music, standing, dancing, taking about 3 or 4 steps and sitting back down. We couldn’t be happier! I’ve sported a smile all day. I decided L.J was just too big for the play pen. He could still use it as he fits the requirements but I just started thinking of him as being too old for it. He’s started pulling it and shaking it and making me a bit nervous. He couldn’t use it forever anyway, so we just decided to use it only when we absolutely have to. I folded it up and packed it away in the corner of my office. It’s there if I find I absolutely need it but I think it may have seen its day. Packing the play pen away meant that L.J would be able to roam more freely around the house. So far it’s worked out well. The house is not really baby proofed so he’s being monitored very well as he moves around but we are all happy to have him roam more. He’ll learn the rules eventually. 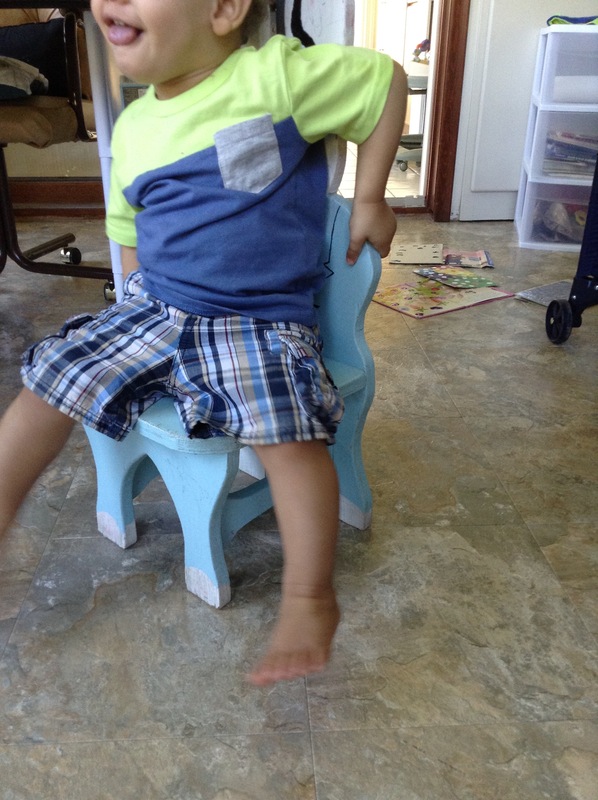 L.J now has a baby chair. 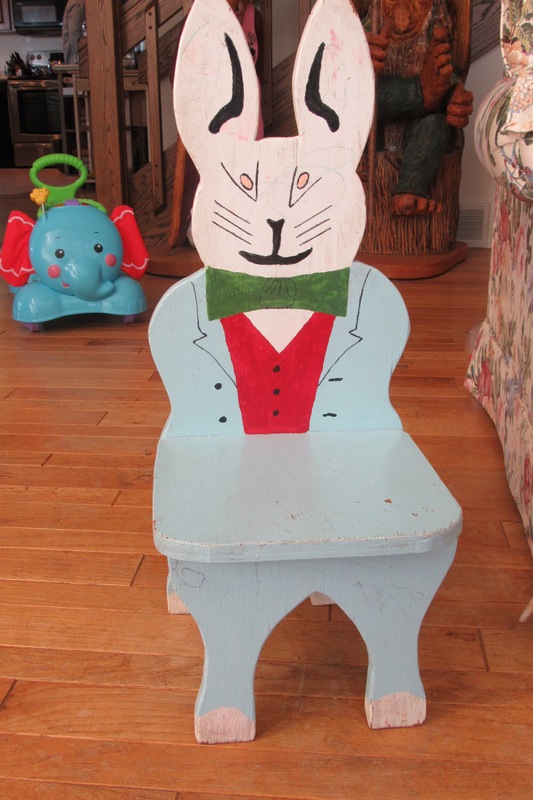 I discovered Josh’s baby chair in the basement and we cleaned it up. He seems to like it but is a bit hesitant about getting in and out of it though it’s the right height for him. Once he’s sitting he seems pretty happy though. 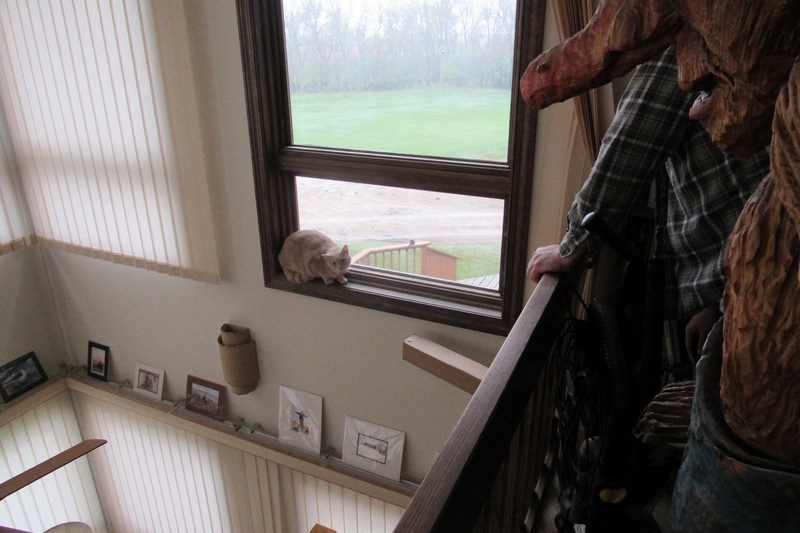 This week was also spent rescuing our cat from the second story window…so yep, busy week. 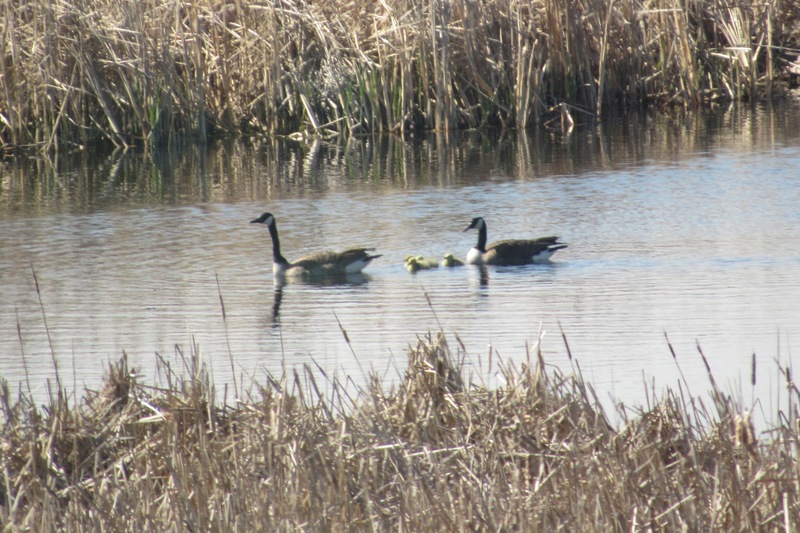 and we have goslings on our slough. Why no post yesterday? No internet yesterday! There was ice (yes, ice) on the tower and we were without internet for the day. We actually had snow! Oh well, that’s part of living in ND I guess. The server was back and we were back online this morning around 8 am. I am happy to get this post up today.